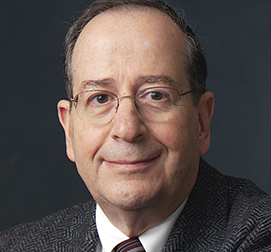 Dr. Herberman (In memoriam) was founding director of the University of Pittsburgh Cancer Institute and Associate Vice Chancellor for Cancer Research, Hillman Professor of Oncology and Professor of Medicine at the University of Pittsburgh School of Medicine. Dr. Herberman was an internationally recognized tumor immunologist who made major discoveries in his field and fostered the application of this information to novel approaches to cancer therapy, diagnosis, and prevention. The phenomenon of natural killer (NK) cell-mediated cytotoxicity against tumors was first discovered in Dr. Herberman’s laboratory at the National Cancer Institute in the early 1970s. In addition to his pioneering investigation of NK cells, Dr. Herberman played a leading role in multiple areas of tumor immunology.